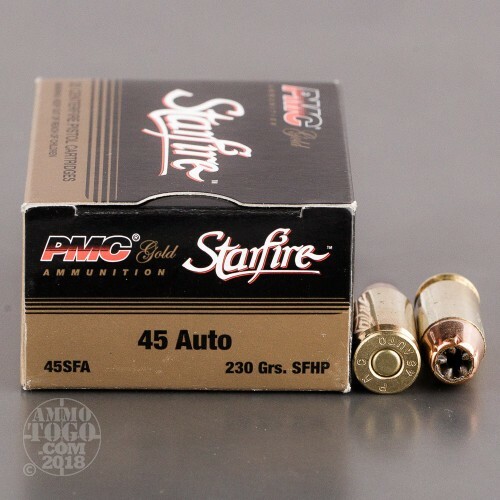 This is 45 ACP PMC Starfire 230gr Hollow Point Ammo. PMC's Starfire line is a very impressive self-defense round at an affordable price. 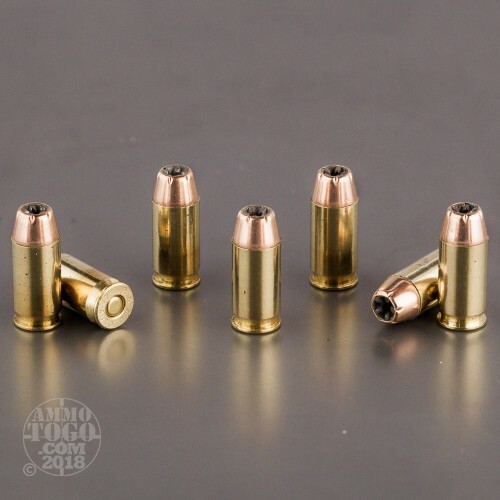 This patented rib-and-flute hollow point cavity design is a good choice for carry weapons. Upon impact, the pre-notched jacket mouth begins to peel back, separating into five uniform copper petals creating a large wound channel. 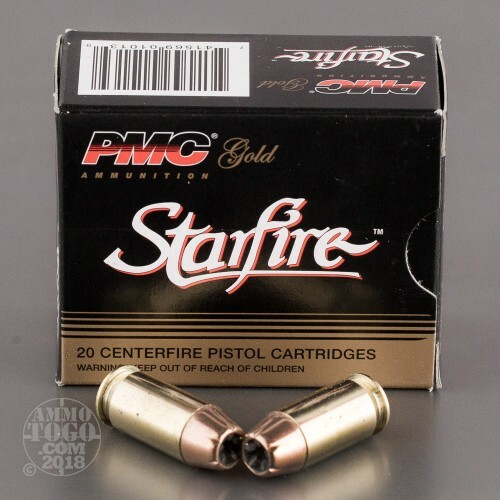 This ammo is new production, non- corrosive and 100% reloadable brass cases. 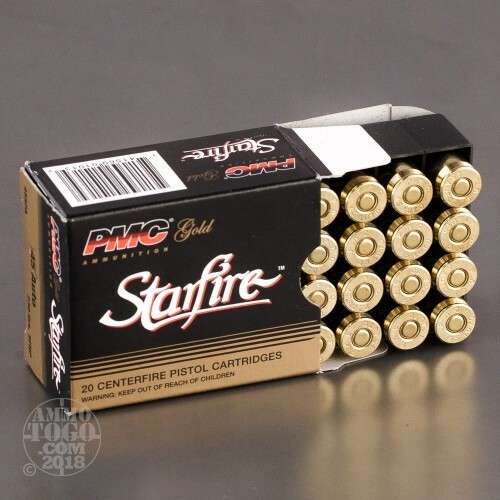 Comes 20rds to a box. Every bit as good as the fine Golden Saber ammo. GOOD STUFF / PRICE, HARD TO FIND, AN ACTUAL H.P. THAT WORKS WELL....I'M BUYING..